Quality and Integrity sum up my years of experience with Lord¹s Diamonds. For over 16 years I have recommended Lord's Diamonds and partnered with them for commemorative rings. 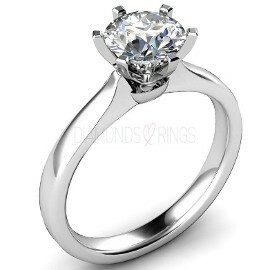 You can trust Lord's Diamonds to provide you with quality customer care, service, and products. I would highly recommend working with Anu and Lord's Diamonds. Anu was fair, honest, and professional when I purchased my wife's engagement ring. The consultation process was transparent and informative, and Anu was able to design a beautiful ring to my exact specifications. We were so happy with her work that we also purchased our wedding bands from Lord's Diamonds, and they too are wonderful. Anu's work is amazing, and to this day my wife still gets compliments on her rings! Thank you, Anu! I was referred to Lord's Diamonds by an old friend and from my first consultation phone call, my apprehensions about purchasing an engagement ring quickly diminished. The Diamond District can be a difficult place to navigate, with aggressive marketers attempting to sell you on products you might regret after you leave. Anu/Lord's Diamond provided me bespoke service, helping me choose a ring which my girlfriend loved. We have now been married for a year and a half, and I am happy to say that I am a repeat customer. I first met Anu of Lord's Diamonds when I was looking for an engagement ring. I had gone to Kay Jewelers and JC Penny, and both times I felt like I was just a sale to them. I was referred to Anu by my mentor, and I visited her to check out some rings. Still wrestling with what to get, and if it was even the right time, Anu suggested that I hold off on buying anything and pray about it that weekend. The following Sunday at church, I felt God tell me to wait. Anu had given me the perfect advice. Sometime later, I felt like it was the right time, so I approached Anu. I bought the ring, and it was the perfect ring. My wife loves it to this day. Working with Lord's Diamonds is working with excellent customer service, with someone who cares about the person and his/her story. Because of this, I wholeheartedly recommend Lord's Diamonds. Keith & Zushanna Turner, N.Y.
Lord's diamonds have been a part of our family for nearly 7 years...I knew of them from other friends getting engaged, but couldn't imagine my then boyfriend being able to afford the rings that looked so luxurious! Well, my engagement ring was from Lord's! It was so unique, which is what I wanted! I constantly received compliments with people actually thinking it's more karats than it is because of how the stone is set...every woman likes her ring to be admired, but I can proudly tell people it's really just the expertise of Lord's Diamonds! When it came time for my wedding band, Anu took the time to sit and consult with me, advising what would compliment my engagement ring and incorporate my style. On our 5th wedding anniversary, Anu again worked with us to create a beautiful anniversary present (yes, I was involved in the process). I wear it every day and love it! My husband and I have recommended several couples to Lord's, with satisfied customers. In actuality when you purchase from Lord's you become family! Looking forward to many more years with our family! 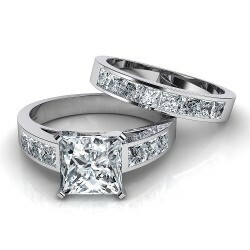 We highly recommend Lord's Diamonds! Anu is a blessing to work with. 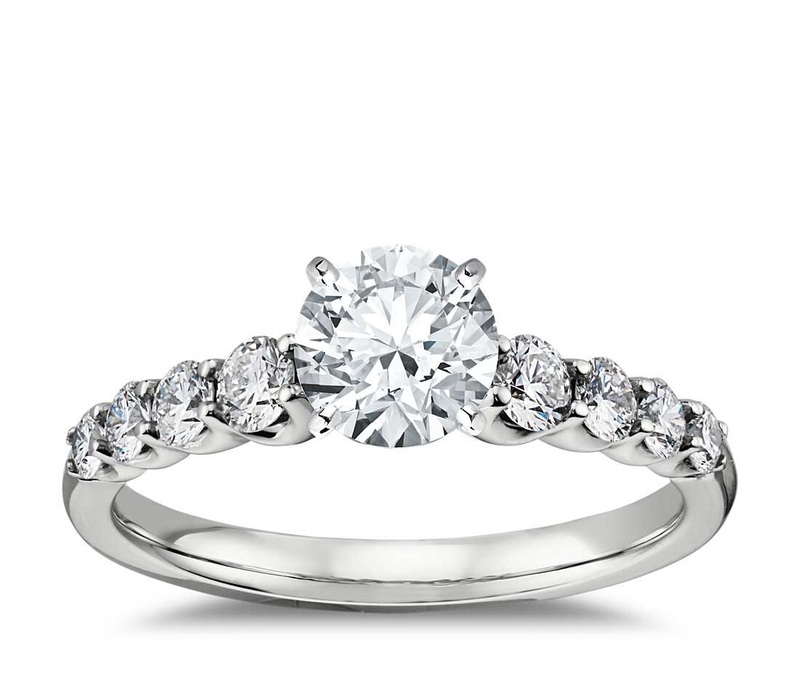 She really listened and guided our selection of an engagement ring and wedding bands that truly complimented our personalities, all within our budget! We had an amazing experience! "I first heard of Lords Diamonds when it was advertised on WMCA Christian radio. When my boyfriend and I started looking for rings, I mentioned this company to him as we both wanted to support a Christian business. During our first meeting with Anu, we knew that we were in the right place. 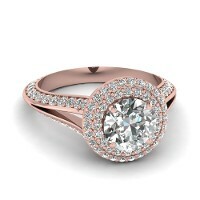 She was not only knowledgeable and kind but, so patient during the ring selection process. 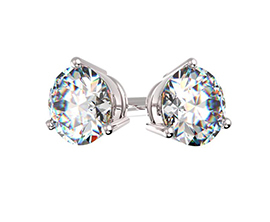 The diamond quality and brilliant options were absolutely second to none. In addition, Anu helped us create ring designs for my wedding band. Now seven years later, I still get compliments every time I wear my wedding set. Even though I no longer live in NY, years later when I wanted to purchase earrings and an eternity ring, I reached out to Anu. 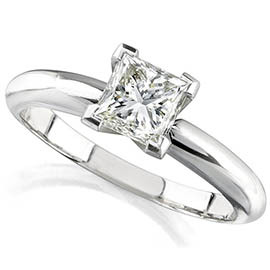 She remains a recommended jeweler for quality diamonds and superior service!" I loved the entire shopping experience with Lord's diamonds. Anu is the perfect mix of knowledgeable suggestions and respect of your own preferences. She's the absolute sweetest, works with your desires and budget, and when I later lost my wedding band in the river in a kayaking incident, she was able to work with me to re-create an exactly identical replacement ring. Everything was perfect. Anu has dedicated herself to providing the best service. She shops the market for the best quality to meet the price. I have purchased several items, and I do wear them well. Anu's vision is beyond your imagination. If you can think it, she can make it. My then fiance' gave me some ideas on what she liked, and I put it in Anu's hands. The result still has my now wife smiling and loving me every day! It's one of a kind. My wedding band was created from scratch. I wanted something modern and not the norm. What Anu created have brides in awe when they see it. Lord's Diamonds is a diamond of jewelers. I’ve been married now for 6 years going on seven. I never expected to stay in love even for this long (although for many of my elders, say we are still newlyweds). I began my journey when a good friend who knew that I was looking to tie the knot got wind that I had started looking and paying for an engagement ring with Kay Jewelers. One day after church as I was getting the car, he told me to go get my money back that I had put down; take it and “go see this lady, this is where you will get your rings.” He then gave me a ripped off corner of an envelope with a number and three letters; reading “Anu.” I took it as a sign that i was moving into “A-nu” stage of my life. I called the number and was greeted by a woman who even over the phone presented with a comforting feeling of peace [about what I was about to do]. I'll never forget the day; I was so nervous carrying around a large check no knowing what the outcome of our meeting was going to be. As I walked through the “diamond district” I was greeted (by what seemed to be) 20-30 supposed jewelers. None of them made me want to talk to them. As I approached the entrance of the place, I was to meet this soft spoke woman it began to snow, it seemed as if everyone had left for the day and I was the only person on the strip; even after just being greeted by so many ppl. I looked back, and no one was in sight. I turned around and walked up the stairs to find a small petite woman and a man engaged in what seemed to be prayer. All of the shops were closed, and I wondered if I was in the right place. She looked up and signaled as assurance that I indeed was. The man left, and she said “Daw’ud?” I replied, “yes I’m Daw’ud.” Don’t be startled I’m Anu. You're in the right place”. She then began to talk to me about what brought me to her, and everything she said began to sound like divine design. We got down to business, but it didn’t feel like it. It felt like I was in school; in a lecture hall and she was schooling me to everything I just did not know and understand. She pulled out some diamonds to do what seemed to be a hands-on lab, and I was amazed at her knowledge base. Then came time to pick what I wanted based on all the info and my affordability. I chose a particular stone, and she paused and said: “I believe this stone picked you.” I replied, why? She then began to give me the history of the stone which coincided with my journey to her store. If I weren't such a man, I would’ve cried! The process was not rushed and felt so natural that when I left, I felt as if I just won the lottery. Once I got my ring and proposed I came back to the store with my soon to be wife. I actually had more money to upgrade the stone. Anu said no! She stated that she knew this stone was for my wife and would be doing me a disservice if she allowed me to switch it out. I was floored! She could’ve taken my extra two grand but didn’t. I made my decision; I will only buy jewelry from her and refer all my friends to her for everything because not only was she honest, she was honorable. Since meeting Anu my wife and I have referred ten couples to her and seven have gotten their ring from her, and we are all still married!!!!! Anu is better than the best!!!!!! and I believe meeting her has allowed all of us to appreciate our significant others. Thank you, Anu. win-win relationship for the product and services provided. I was pretty pleased with her accommodations and services. I was also pleased with her knowledge of the product; the specification and certificate she provided, verifying that the product was authentic. needed to make the best decision. I felt comfortable with the product I purchased. I have been dealing with Anu of Lord's Diamonds for more than ten years. Almost every piece of jewelry that my wife owns was purchased with her guidance and loving expertise. 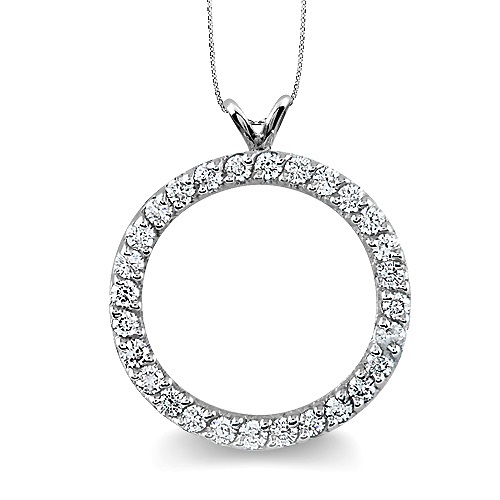 These pieces range from bracelets to rings to pendants, and my wife has been equally excited about each one - and the circle of life pendant which will be her number one gift this year. I have never hesitated to work with Anu nor would I ever. She has always zeroed in on my wife's taste for elegant yet simple in style. Anu has a knack for guiding the purchaser tastefully as well as helping him stay within the framework of a projected budget. It was certainly a fortunate day for me when I caught her advertisement on the radio. I love love love Lord's Diamonds. The service is one on one and personal. The quality is outstanding, and they are trustworthy. Since my husband went there for my engagement ring, we have become lifelong customers of Lord's Diamonds. Anu helped me with a colored stone ring I had gotten a long time ago. I wanted to make some adjustments on the ring. Upon inspection, Anu let me know the stone in it wasn’t genuine, so she got me the real stone. Now that is integrity. I loved working with Anu so much that I recommended Lord's Diamond to my widow father. Her professionalism and her patience were just outstanding. Gentlemen if you are seeking a gracious owner who sells top quality diamonds at a reasonable price, then run, do not walk to Lord's Diamonds. Anu, I cannot thank you enough for creating such a beautiful ring. It is far more than I ever expected. I am so thankful to have heard your ad on the Mission radio station. You were truly God sent. Your knowledge, care, and warmth are so greatly appreciated. This ring is truly a magnificent symbol of the commitment my husband and I made before God over 45 years ago. Thank you Lord’s Diamonds, and thank you Anu for being the wonderful person you are. This review is long overdue; and a bit on the longer side as a result. I decided to propose to my longtime girlfriend (now my wife of four years) in September of 2010. 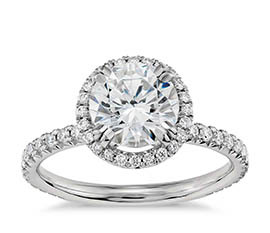 Now as a guy who has never been into jewelry, the idea of purchasing an engagement ring can be a daunting one. 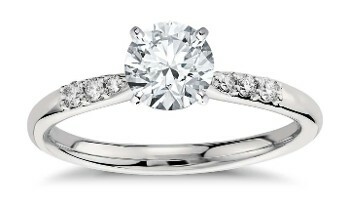 However, I had an idea of the style of engagement ring that I wanted to purchase. I started researching jewelry locations in New York City which also proved to be a task. I had a few places in mind, but on the recommendation from a good friend, I decided to try Lord's Diamonds first. I am thrilled that I did! I reached out to Anu via email to make introductions and set up an appointment. Anu promptly responded and asked if I had any picture references or styles that I was interested in. I did, and I emailed them over and waited anxiously for our first appointment. I was nervous as ever before my first visit with Anu. Anu warmly greeted me, asked me to have a seat, and begun to ask about my relationship, a bit about my wife, how long we'd been dating, and approximately when I wanted to propose. She also carefully explained the 5 C's in the world of diamonds and answered all of my questions. As we spoke, I gradually became more comfortable, and less nervous about the process. That is until she started to take out a few diamonds for me to take a look at. I remember to this day, four years later, how sweaty my palms were when she placed that first diamond on my palm. Anu's no pressure approach quickly comforted me, and we continued as she pulled out several varieties of rings that resembled the references I sent her that she had in her shop. 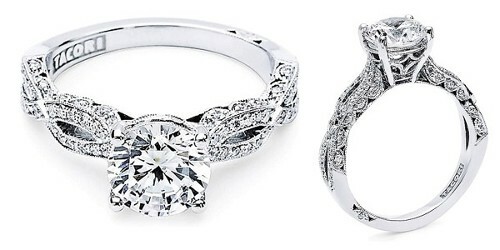 Even after looking at all of the styles I knew I really wanted the same ring as the picture reference I emailed. To my amazement, Anu said, ok that no problem, I'll have that one made for you! I was amazed!!! A few weeks later I came back to the shop and Anu showed me a wax mold of the exact ring that I wanted. It was absolutely beautiful and matched the picture reference EXACTLY! After an eleven-month payment process I paid off the ring in full, and the day after I picked up the ring from Anu I proposed to my wife. Anu's integrity, attention to detail, patience, and fantastic customer service has made me a lifelong customer. I hope you'll do the same!" First, I would like to thank my Lord Jesus for His Love and Faithfulness. Second, Anu, you are a blessing. I heard about Lord's Diamonds on the radio, WMCA and decided to check it out. I met with Anu who was totally amazing from the moment I met her. I loved the fact that she prayed over me and asked the Lord for His guidance as this is a covenant ring between Jesus and me. Anu was instrumental in helping me with my decision. 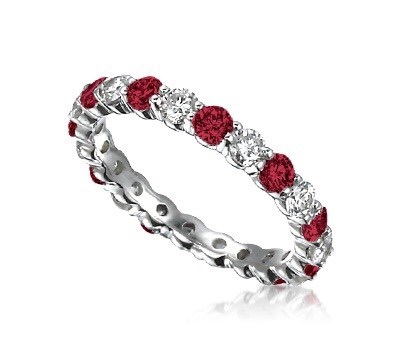 My ring is simple yet, so beautiful and elegant! Anu “You are the Bestessess” I love you in Christ. Anu from Lord's Diamonds is EVERYTHING WMCA says she is; Spectacular Service, Workmanship, Advice, and of course PRODUCT! And on a side note, she is a Great Listener and a Beautiful Spirit! It was certainly my Honor and Blessing to win Lord's $2000 Gift Card and to meet Ms. Anu! I HAVE PICKED UP MY RING! "The Eagle has Landed!" And it is BEAUTIFUL custom designed and crafted by my Sweetheart Marisol and the INCREDIBLE talent of Anu and Lord's Diamonds. Thank you Lord's Diamonds and Thank you all at WMCA; God Bless You!